A lazy buzz phrase – ‘Is this the new normal?’ – has been doing the rounds as extreme climate events have been piling up over the past year. To which the riposte should be: it’s worse than that – we’re on the road to even more frequent, more extreme events than we saw this year. We have known since the 1980s what’s in store for us. Action taken then to reduce emissions by 20 per cent by 2005 might have restricted the global temperature rise to less than 1.5 degrees Celsius. But nothing was done, and the welter of climate data mounting since then only confirms and refines the original predictions. So where are we now? An amazing video: a recent NASA long-duration balloon mission observed a thin group of seasonal electric blue clouds which are known as noctilucent clouds or polar mesospheric clouds (PMCs). Forming 50 miles (80 km) above polar regions in summer they are Earth’s uppermost clouds and only visible around twilight. PMCs are composed of ice crystals that glow bright blue or white when reflecting sunlight. Last winter, unforgettable video footage online showed a starving polar bear, struggling in its Arctic hunting grounds. Because of global warming, the ice was thin and the food supply was scarce. The video generated a wellspring of sympathy for the plight of this poor creature, and invigorated calls for stronger efforts to combat climate change – and rightly so. Such advocacy on behalf of wildlife usually focuses on species and the effects of human-caused climate change on their survival and wellbeing as the ecosystems on which they depend undergo drastic changes. Thus, we should act to save the polar bear – that is, the polar bear species – by doing what we can to preserve its natural ecosystem. I am fully behind this kind of advocacy. Anybody who cares about the future of our planet and its occupants should be. Artificial grass vs Natural grass: Which is greener? The world’s leaders (the vast majority of them anyway) have finally come to terms with the dire implications of global warming on the Earth’s climate. With every passing day, the polar ice caps shrink in size, rising sea levels subsume another low-lying island, and the incidence of adverse weather conditions continues to swell. The Paris Agreement of two years ago is evidence of environmental concerns taking precedence on the international stage, but what can we do individually to slow global warming? Ostensibly a signifier of environmentalism, a lush, natural lawn is, in reality, an energy-hungry indulgence. Many energy-conscious homeowners would actually be better off with an artificial lawn instead, owing to its economical consumption of both energy and water. In creating an artificial surface though, fossil fuels are used, creating carbon in the process. Concerning too is artificial grass’ longevity – it isn’t biodegradable so it can only add to landfill sites. In this post then, we have compared and contrasted natural and artificial grass, with hopes of declaring one environmentally superior. Everything from manufacture to installation to maintenance has been considered, so you can rest assured that our conclusion is a well-rounded and measured one. Global warming is accelerating – that’s a fact. In April 2018, the level of carbon dioxide in Earth’s atmosphere hit the highest point for the last 800,000 years. NASA and NOAA analyses suggest that long-term global warming trend continued in 2017. This year (2018), on March 17, the Arctic sea ice cover peaked at only 5.59 million square miles (14,478,033.54 km2), the 2nd lowest max on record (and the lowest max on record was, guess it, in 2017). 25 years of NASA and European satellite data shows that rather than increasing steadily, global sea level rise has been accelerating in recent decades. Cooler-than-normal years start to become rarer and by the 1990s, they’ve almost disappeared completely. Climate Central channel has put the 116 years history of global warming (1900-2016) into a just 34-second video. The result is terrifying. The “Temperature Circle” shows every nation on the Earth is now in the red, which means now every year is warmer-than-normal. Can global warming be held culpable for wildfires? In the wake of the devastating wildfires that tore through the Pedrógão Grande region of Portugal just over a year ago, a group of children (in association with British environmental lawyers and the NGO Global Legal Action Network) affected by the fires are crowdfunding with the eventual aim of levelling the blame for the wildfire at a total of 47 European countries for their failure to adequately combat climate change. They have already accumulated over £27,000, and aim to eventually raise a total of £350,000 to take their case all the way to the European Court of Human Rights in Strasbourg. They certainly believe they have a legitimate claim – and so too do the people pledging money to support their cause. So, how interrelated are global warming and the frequency and severity of wildfires? And, when it comes down to it, just how responsible are the European countries for the Portuguese wildfire? An island or isle is any piece of sub-continental land that is surrounded by water. It is believed that there are over 100,000 islands in the world. It’s difficult to put a figure to the exact number as there are different kinds of them in various water bodies including oceans, seas, lakes, and rivers. There is even an island within a lake that is situated on an island located in a lake on an island. Only 322 of them are larger than 1000 km2 (386 sq mi). Here are the top 18 largest islands on Earth. Why 18? Because this is the number of islands that have a land area of greater than 100,000 square kilometers (38,610 square miles). 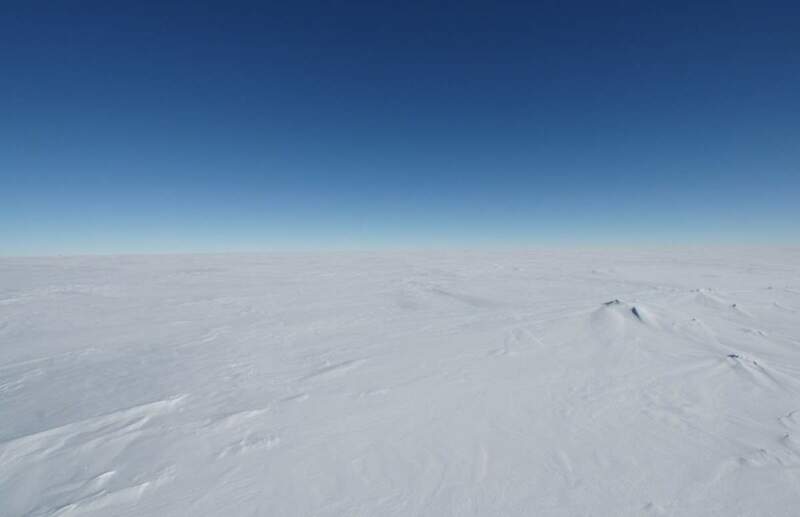 According to a new study published this week in the AGU (American Geophysical Union) journal Geophysical Research Letters, several spots on the East Antarctic Plateau reach temperatures of nearly -100 °C (-148 °F) during the Antarctic winter. Researchers re-examined the data from several Earth-observing satellites and found that the coldest place on Earth is even colder than previously thought. Around 66 million years ago, an asteroid or comet at least 10 kilometers (6 miles) in diameter impacted a few miles from the present-day town of Chicxulub in Mexico (hence it is dubbed as the “Chicxulub impactor”), at around 64,000 kilometers per hour (40,000 mph). The impact has created a crater (Chicxulub crater) more than 180 km (110 miles) in diameter. But, what’s more, the energy of the impact (which is equivalent of about ten billion Hiroshima atom bombs) vaporized the rock which was rich in sulfur compounds, filling the air with a thick cloud of dust, similar to that created by a catastrophic volcanic eruption. This cloud blocked out the sun at least for a decade and caused a global, dark winter: even in the tropics the temperatures were barely above freezing, and the average global temperature was below 0°C (32°F). Before the impact, the average global temperature was around 26°C (47°F), so this means a huge drop. And the recovery time was more than 30 years! The dinosaurs which had dominated the Earth for more than 150 million years were used to living in a lush climate and were already in decline, so non-avian dinosaurs couldn’t survive after the last deadly blow. If we limit global warming to 1.5°C rather than 2°C above the pre-industrial levels by the year 2100, the impacts of climate change would be much less dramatic, a new study says. According to the researchers, for vertebrates and plants, the number of species losing more than half their geographic range by 2100 will be halved when warming is limited to 1.5°C, compared with projected losses at 2°C. It would be even better for insects, the most diverse group of animals on Earth: the number is reduced by two-thirds.